After several years in the making, I’ve just published my first novel as an ebook! It’s called Brainjob. Feels so good to get this out into the world! I don’t think I quite believe it yet, give me a little time! It’s quite a long novel, about 125,000 words, so it’s a good ebook value. 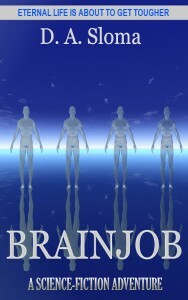 In the works for Brainjob is a paper book edition to come from Amazon, and also I’m going to make an audio book of the novel. It’ll be me rereading the whole thing! I’m looking forward to it, as it will give me a real feel for the flow of the language over the course of the book when I read it all aloud. It’s 2051 and humans live in space, while a nuclear war looms in Braku province, the last great free state on Earth. 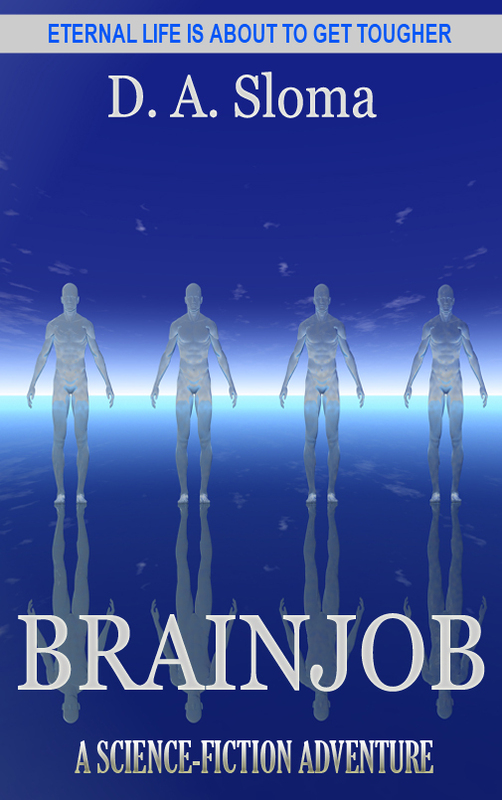 Cloning is commonplace as a means of life extension, by a method called a “Brainjob” – when you get old, move your brain into a new, brainless cloned body. It’s almost a way to live forever for those with the means, but not true eternal life. Zach Hemmings, a poor working man, is injured in an industrial accident. His body is destroyed, but his brain is still viable. Due to his lack of funds, he never had himself cloned, and has to accept the clone his medical insurance will pay for. He gets a clone of another race (his original body was white, the cloned body is black), which causes him massive identity issues, and lack of acceptance with many in his family. Zach becomes the subject of medical experiments by Unito Bio (they own his cloned body due to an underhanded copyright law) to produce an eternal-youth nanobot serum. The serum trials are successful for the first time, and only occur in Zach’s unique bloodstream. He starts to get younger. But Zach, tired of being a guinea pig, and disgusted at being owned, goes on the run. Unito has deep pockets, and they will stop at nothing to get back their property that has just become the most valuable thing in the world. Zach just wants to get himself back.